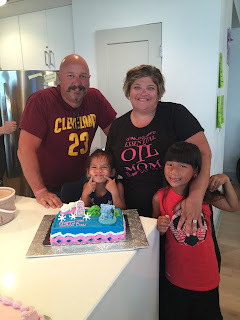 Before I dive into the vacation posts, I wanted to share a couple of special occasions we celebrated while gone! First up, Addy's 2nd Gotcha Day!! She has been a part of our family for 2 years. It's so crazy to me. Time has flown and I can't remember life without her. 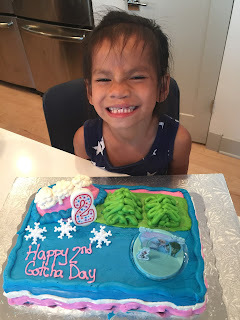 We celebrated with cake and ice cream with all of our vacation family! And a special Anna and Elsa cake! Look how excited she is! Bless her heart! The next morning we woke up to rain which was perfect because it was also the day Finding Dory opened. Oh, and my 40th birthday. 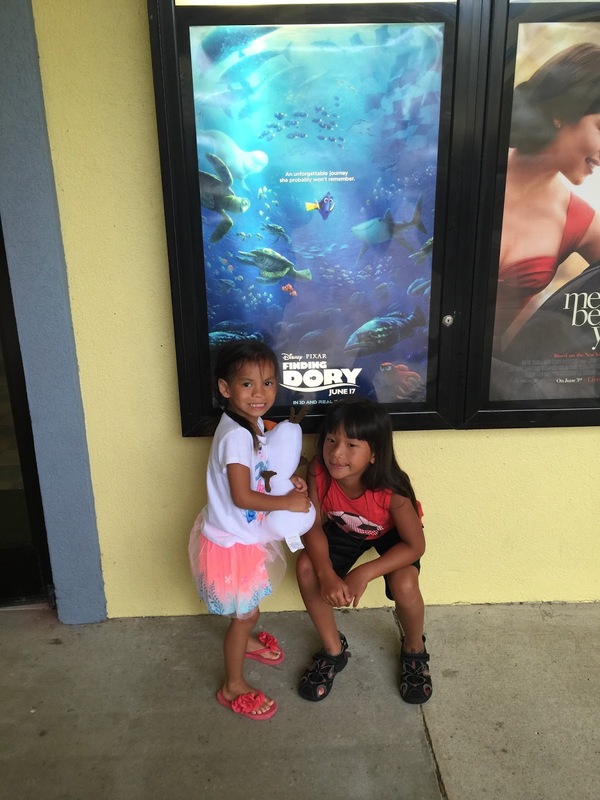 We went to the movie with some of our cousins and had a wonderful time. We went back to much needed naps and then went out for a yummy Mexican dinner. It was a perfect birthday spent with my girls and hubby!